GOOD NEWS: For the FIRST time, the Philippines was given a one-star rating for On-Time Performance (OTP) by the Official Aviation Guide (OAG). 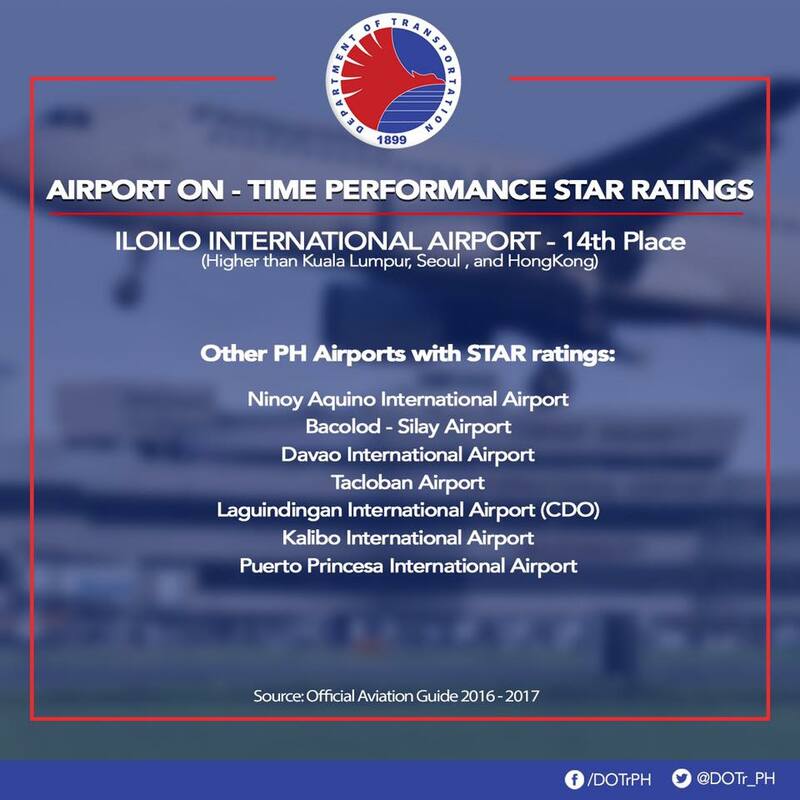 Eight Philippine airports got a one-star rating, with the Iloilo International Airport landing 14th place among airports with one-star ratings-- besting Kuala Lumpur, Hong Kong, and Incheon. The OAG has 1-5 star rating categories (5 being the highest). We hope that with continued improvements in our airport facilities and services, we will be able to attain a 2-star rating soon. The DOTr assures the public that improvements in infrastructure and policies are being pursued and implemented to make our airports at par with the world’s best airports.